Hair Transplant Surgery is a big step for most people and we understand that you may have many questions with regards to the procedure. Below is a list of the most common questions we get asked by people thinking about having a hair transplant. 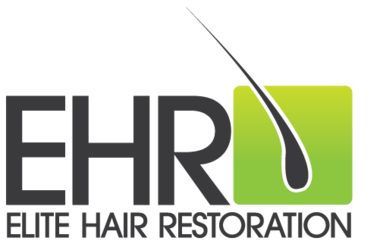 We are happy to answer any questions you have about any aspect of the hair transplant surgery. "We will guide you every step of the way from your initial enquiry to after your procedure." Is Follicular Unit Transplantation permanent? Transplanted hair behaves in a similar way to the hair where it was taken from. It will last a lifetime for most people or at least into old age when the procedure is done correctly. 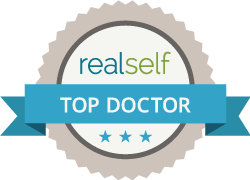 Elite Hair Restoration surgeons simply re-distribute existing permanent hair to your thin areas. Yes. Elite Hair Restoration surgeons carefully and artistically perform Follicular Unit Hair Transplants to look very natural, and with single hair follicular unit grafts a natural-looking hairline is attainable. It is almost impossible for someone who doesn't know you to detect the surgery. Does Follicular Unit Transplantation leave scars? The art of a hair transplant is to conceal the scars. When performed by skilled surgeons, Follicular Unit Hair Transplants will only be detected by thorough expert medical examination. The donor site however will have a very fine scar completely hidden by your hair. The technique of trichophytic closure is now rendering donor scars extremely difficult to detect even with no covering hair. Having said that, we always recommend growing the hair at the back of the head to help conceal the area. Patients should refrain from shaving the back of the head because healing and scarring can vary from person to person. We are only redistributing your existing permanent hair to your thin or bald areas. We are not creating new hair. Having said that, in expert hands the limited donor hair available can be used to create the illusion of a lot more hair in people with significant hair loss. In extensive baldness, the most important achievement will be to restore frontal scalp hair and the hairline to create a frame around the face. This will improve how you look to yourself and to others. What is the difference between Strip and FUE hair transplant surgery? The only difference in the 2 treatments is the way in which the hair is extracted from the back of the scalp. The implantation process is the same. Strip procedure requires the harvesting of a strip of scalp from the donor area. The strip is only 1 millimetre in diameter and is removed using a small scalpel. The strip is placed under a microscope and divided into grafts containing 1 or 2 hairs. Follicular unit extraction (FUE) is a process that utilises a small punch tool that removes hairs from the donor sites. The tool removes grafts that contain either 1 or 2 hairs. FUE procedures use a much larger donor area than strip procedures. The punch tool will likely be used across a large area of the scalp to extract healthy hairs. Both procedures insert 1 or 2 hairs at a time into tiny incisions. Some patients find that the incision sites for strip procedures are somewhat larger and more noticeable than that of FUE procedures. Both procedures require incisions that are less than 1 millimetre in diameter. Which procedure is better for significant Hair Loss? Strip procedures are beneficial to those who have large areas of balding. This is because a much larger number of grafts can be harvested per hair transplant session. Individuals, who wish to keep their hair shorter than 2 centimetres, may prefer FUE procedures (Wayne Rooney). These procedures have less scaring than strip procedures because they do not require a large harvest site. The surgical team will help patients determine which procedure is best. The vast majority of patients find that hair transplant procedures are extremely successful. The surgical team will help patients maintain realistic expectations, which is the key to avoiding disappointment. It is impossible to create a thick, full head of hair in an individual who has experienced a large area of balding. Realistic expectations and following the guidelines of the surgical team should ensure a successful hair transplant experience. There are a number of disadvantages to hair transplant surgeries. It's important that all patients weigh the risks of hair transplant procedures against the benefits. Ultimately, there is little to no medical risk associated with the surgeries. This means that while disadvantages do exist, they are generally not negative enough for patients to refuse the procedures. The follicles that are transplanted during the surgical procedure will last for the lifetime of the patient. These hairs are genetically resistant to balding, which means they will never fall out. Some patients, however, may not experience hair growth for up to sixth months following the hair transplant procedures. Additionally, some patients may experience initial hair loss due to the transplantation process. These hairs will grow back in 2-6 months. Once the hair begins to grow normally, it will continue to do so for the patient's lifetime. No. Patients undergoing hair transplant surgeries are given local anaesthetics during the hair transplant procedures. Most patients do not report any pain during the procedure; however, there may be slight discomfort during hair insertion and extraction. After the procedure, patients will experience some minor soreness and numbness. The majority of patients find that the surgery and recovery are far less painful than they expected. It is advised that patients wear shirts that can be unbuttoned on the day of the surgery and for a few days afterwards. This is to avoid accidentally rubbing the scalp, which may cause pain or discomfort the first few days after surgery. Does FUT hurt more than FUE? FUT procedures and other cosmetic surgeries that cut or remove portions of the scalp, will result in more pain and tenderness than less invasive surgeries. Ultimately, the recovery time of hair transplant surgeries is short and relatively pain free. It is not necessary for the hair to be cut prior to the transplant surgery. FUT surgeries require the removal of a small strip from the scalp. If patients wish to hide this scar, the hairs surrounding the donor site must be at least 2 centimetres in length. Will the Surgeon cut my Hair on the day of the procedure? Generally the hair transplant surgeons will cut or shave the hair during the transplant procedure. However with FUE the patient has a no1 cut all over. How long does my hair need to be for a Hair Transplant? It is best to leave your Hair as the surgeon will trim the area he needs to use for the Transplant procedure. Will I get medication to take home following the surgery? Yes, it is important that patients take the full dose of the medications prescribed by the surgical team. Even if patients are not experiencing pain or swelling, they must take the full dosage of medication. Can I carry on using my Minoxidil and or Propecia Medication? The initial hair that is transplanted will normally fall out within the 1st 8 weeks and the new hair growth will break through after 3 months after the procedure. This is something called 'Shock Loss' and is quite common. However, it can take up to 6-8 months for the new hair to make a significant cosmetic difference to your appearance. Hair continues to mature for over 12 months after surgery. This depends on your type of work. If you don't have a physical or strenuous job, medically you can generally go back to work after just a couple of days, otherwise return after 7. The other consideration is from a cosmetic view. If you do not have sufficient hair to cover the donor site or if you are very concerned about anyone knowing, then it's probably best to have your surgery just before a week's holiday or so. You will be able to wear a hat immediately after surgery. The sun will not damage your grafts, but as your scalp will still be numb you need to wear a hat to avoid sunburn to your scalp. Are there any bandages after the procedure? No. There is no need for bandages after modern hair transplantation. A small dressing may be applied to the back of the head where the hairs have been taken from. This may be required to stay on for up to 24 hours. How long will it take before I achieve what I'm looking for? Elite's hair transplants will generally restore 25-35% of the original density in the treated area of the scalp after one operation. For most this is sufficient to give good hair coverage. It is generally not possible to achieve greater than 50% density even after a 2nd treatment. It is extremely important to follow the aftercare procedures of the hair transplant surgery. During the first night following the surgery, the grafts are still sensitive and could fall out of the incisions if touched or manipulated. Avoid pulling shirts over the head. Do not brush, comb, rub, or even touch the transplanted hair for at least 24 hours after the surgery. Patients should sleep in an upright position the first three nights following the procedure. This will avoid accidentally rubbing or shifting the grafts. The surgical team will provide each patient with a bottle of lotion. This lotion should be sprayed on the transplanted hair every 30 minutes for the first night following surgery. It is important that patients wait at least a week before taking a shower. The force of the water could cause the grafts to shift or fall out. When can I wash my Hair following a Transplant? Patients must wait 48 hours at least before shampooing their hair. A mixture of water and ph-based shampoo should be gently worked into the hair and scalp. Water can be gently poured from a receptacle over the patient's head, but faucets and showers should be strictly avoided. If a portion of the scalp was removed during the hair transplant procedure, it is important to clean the incision every day. This can be achieved by firmly rubbing the scar or by using a small cleaning brush. Washing the incision helps prevent crusting, which can result in a longer recovery time and increased scaring. Additionally, antibiotic cream should be applied to the scar twice a day for the first week following the procedure. This cream will help prevent scaring and infections. When can I go back to work or the gym following my Hair Transplant Surgery? Can I go the pub and drink alcohol after my procedure? Patients must abstain from alcohol for at least 48 hours following the surgery and avoid sun exposure for as long as the insertion sites remain red and raw. What can I expect to see initially following the surgery? Bleeding can occur as a result of the surgical procedure. Patients are advised to apply pressure to bleeding areas with a compress of clean linen. Patients will need to return to the surgical site to have their stitches removed about two weeks after the surgery. The surgical team will check the healing progress to ensure a healthy recovery process. Can anybody have a Follicular Unit Transplant? Yes, except for haemophiliacs and people with significant or relevant medical conditions. Sometimes, although physically you can have a transplant, the surgeon may advise against it for a variety of reasons including your young age, future hair loss considerations, high expectations, etc. All of our patients must go through a detailed Medical Consultation and Questionnaire in order to be accepted as an Elite Hair Restoration patient. There is no upper age limit if a person is in good health. Lower age limit is very much dependant on the degree of hair loss. Generally speaking, Elite Hair Restoration do not consider hair transplant surgery if you're less than 25 years of age, at a very early stage of hair loss and have a family history of advanced hair loss. This is a very subjective question but not when compared to alternative treatments on the market. Of course there is a cost involved, but the naturalness of growing your own hair makes hair transplants much more cost effective. Elite Hair Restoration offer a very simple pricing structure of £'s per Graft for FUT and FUE to keep it as simple as possible. Remember that there are no other expenses involved on ongoing basis. You will no longer need or require Cover Up Sprays, lotions or chemicals to buy continually. No wigs or hairpieces to be continually maintained serviced and replaced. So in the long run, hair transplants are not only the most natural solution but they can also be the cheapest long term solution. Although a rough estimate of cost can be given from good photos, the cost in detail can only be worked out after examining your scalp and assessing your hair loss at the medical consultation with one of Elite Hair Restorations qualified surgeons. Treatments start from £2000.